Zero G thread is up ! Tournament was superb...Everyone played really well here are the results ! Hey Arijit Sarkar, do you have the results spreadsheet for this event? Can you post it as soon as possible? Thanks! 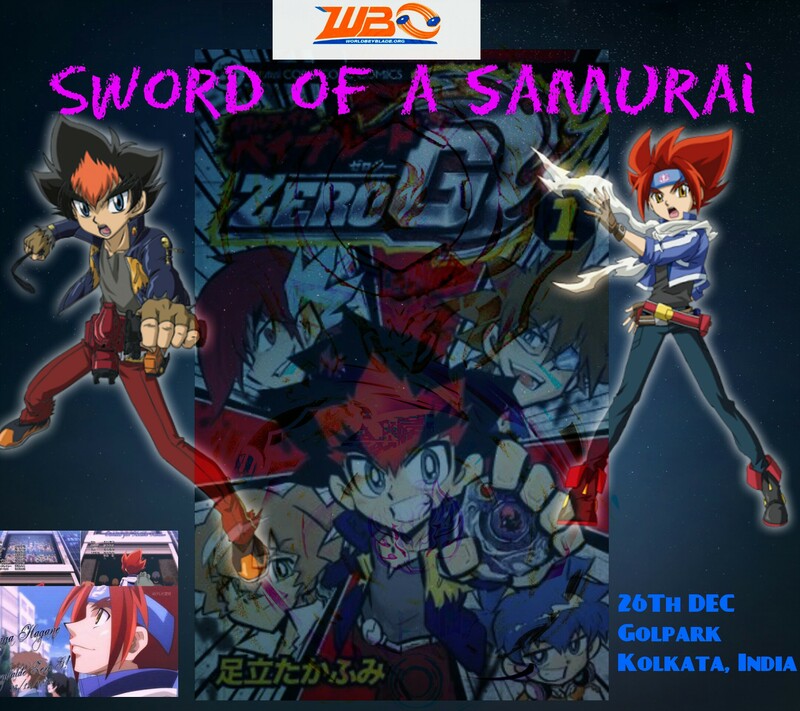 Please Arijit sarkar you will host a BeyBlade Burst tournament in Kolkata. In this year in the month of Jun. (Jan. 24, 2018 7:40 AM)Kei Wrote: Hey Arijit Sarkar, do you have the results spreadsheet for this event? Can you post it as soon as possible? Thanks! Hey Arijit Sarkar, another reminder about this: can you please submit the results spreadsheet for this event? It's much past the 14 days allowed for submission of these items. Thank you! Let me know if you need any help or have any questions. Also, just in case he doesn't see this ... ashton pinto ronitnath, could one of you ask him directly about this? Thanks! I will see to it immediately. I am not sure why he didn't post the spreadsheet here. It was made much before. Hey Arijit Sarkar and ronitnath, just wanted to follow up on the above. Can you post the spreadsheet? Thanks! Quote: The results spreadsheet must be filled out and linked in your tournament topic no later than 14 days after your event takes place. The spreadsheet is with Arijit and he is out of town till 18th. I have told him about this, but until he returns even I can't do anything. Once he returns I will write the results myself. I am not sure why he didn't submit the results. Thank you and sorry for his delay. Hey Arijit Sarkar, thanks for submitting the results. If you get a chance, can you pre-process this event? You can learn more about pre-processing in the Organizer's Circle forum. Thank you! For future events please ensure that on the Results tab, all matches are broken down into two cells each (one for the winner, one for the loser) and that all usernames are exact (case sensitive, no extra spaces after the username). This makes it much easier and quicker for us and Organizer's to pre-process the events. One issue I ran into however that I will need your help with is identifying the user "guhadeep". Do you know what his exact username is? I can't seem to find it. If you're not sure, just let me know and we can make an account. ronitnath, perhaps the above is a question you could answer too? Thank you. @[ronitnath], perhaps the above is a question you could answer too? Thank you. When he registered, he mentioned his username as "guhadeep", but since then he never attended any tournament, neither we have his contact info. No one in the community is aware of his present whereabouts. Perhaps the only option is to create an account.